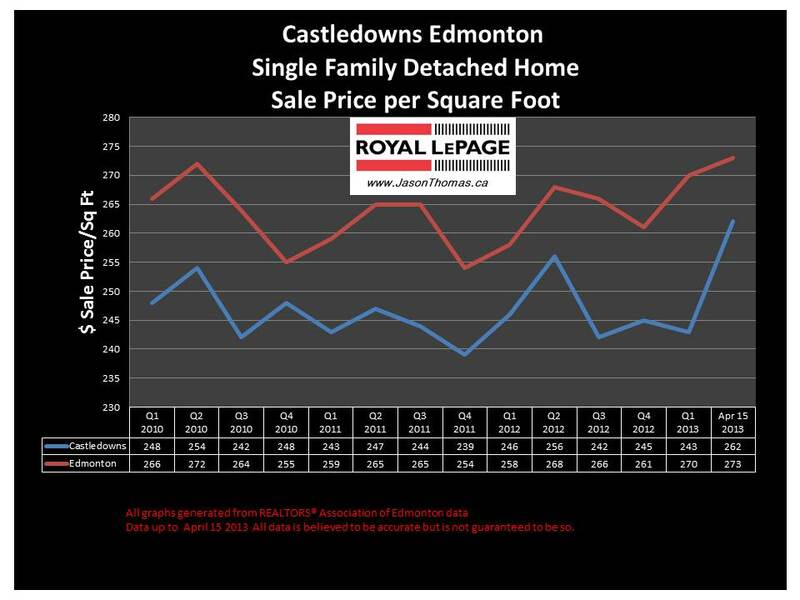 The Castledowns home sale price per square foot has risen in 2013, to within $9 of the Edmonton average selling price per square foot. That is much stronger than the previous 3 quarters in Castledowns where the average sold price per square foot was hovering in the low 240's. The highest sale price for a home in Castledowns in the last 12 months was $784,000. The average time to sell a home in Castledowns so far in 2013 has been 52 days. That is a little slower than the Edmonton average days on market of 46 in 2013.